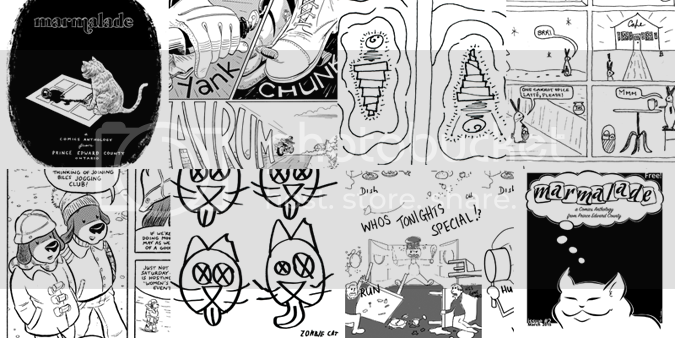 Marmalade is a small print run comics anthology zine that has a new issue available for FREE each month. 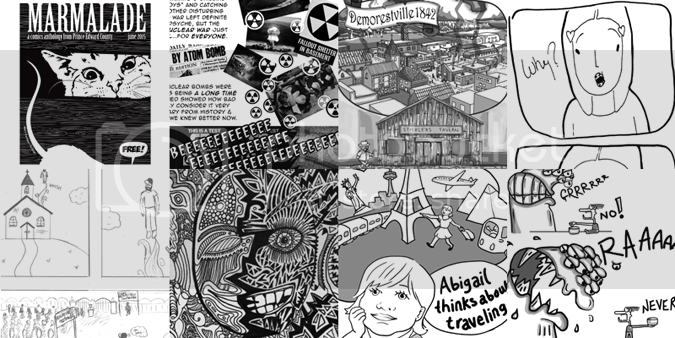 Contributors include a wide variety of writers, artists, cartoonists and collaborators primarily from in and around Prince Edward County, Ontario (aka 'The County'). We love comics and we endeavor each month to present stimulating stories from all kinds of people with all kinds of experience. For working artists, it's a good way to get some sequential art out there to be seen and to bring some attention to their other work. For those who prefer to create comics primarily for fun and to challenge themselves, Marmalade supports that mindset too. Print copies of Marmalade are currently found at busy locations throughout the County, in Picton, Bloomfield and Wellington. Plus there's a monthly digital issue that can be seen by anyone anywhere. New issues generally appear in the third week of each month. Marmalade's organizers and creators don't create Marmalade for monetary profit. We put time into this project because we want to do so, and we believe that creating work collectively in such a format can only enhance our local arts scene and improve our work as individuals. 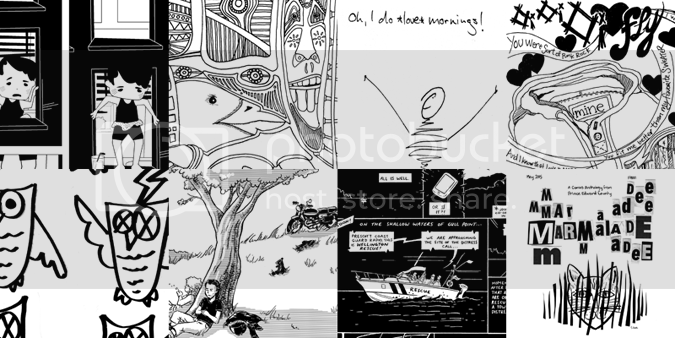 Marmalade places no restrictions on the work that our creators present - they are free to publish their own pages anywhere at anytime. 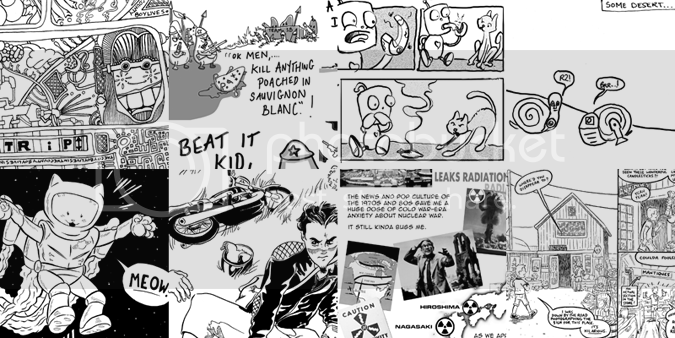 The zine is supported by a combination of donation and sponsorship from local businesses . All funds received go directly toward printing costs. Currently we are creating 200 copies of each new issue, printed locally. To do this costs approximately $250 each month. 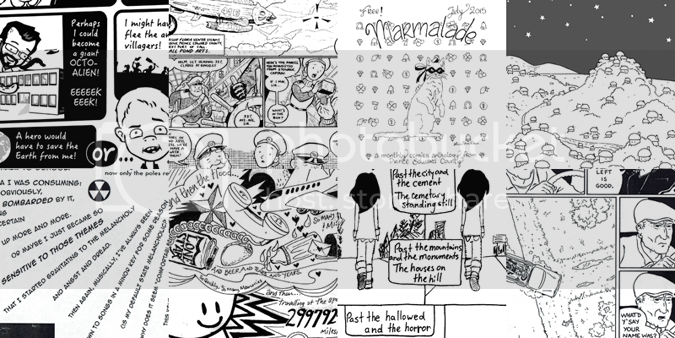 All funds raised through Patreon will be used to keep our small but spirited local comics scene flourishing by allowing us to bring you an issue of Marmalade each month. Marmalade comes out monthly, and printing costs at a local print shop are roughly $250 each month. We have been covering this monthly cost with a combination of sponsorships and reader donations. Our readership always amazes us with their support and we're thrilled whenever we can print an issue without relying on sponsor ads. 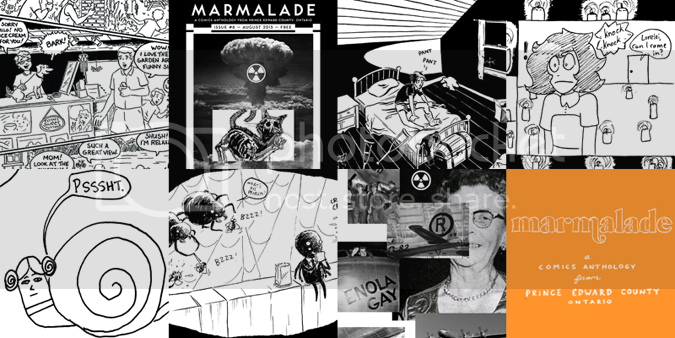 Donating towards Marmalade's upcoming issues via Patreon helps us do just that!